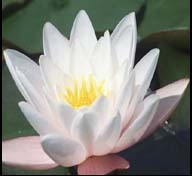 In 2013, Vidya, fondly called Diya, was bestowed with the title of Natya Kala Shiromani from His Holiness Swami Sachidananda Tirthji Maharaj of Sri Chakra Maha Meru Peedam, Bilaspur (http://mahamerupeedam.org/), for her continued study of Natya Yoga, and Sangeetha shastra and her dedication, support, research, and presentation of the Classical art of Bharata Natyam. She previously received the titles of Natya Yogi, in 1996 for her world record performance, and the title of Nritya Meera, at the Conference of World Religions from the late Sant Keshavadas, in 1976. Through years of vigorous and tireless training on two continents, under the supervision of the Grand Masters of Tiruvidaimarudur technique from Sri Rajarajeshwari Bharata Natya Kala Mandir, including the award-winning late T.K. 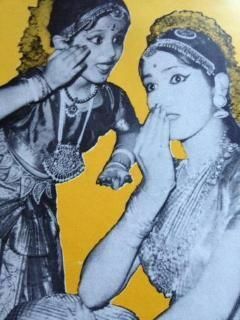 Mahalingam Pillai, Diya's repertoire now consists of over 500 items of the traditional repertoire, ranging from abhinaya-intensive numbers made popular in the 1950's by legends such as Balasaraswati to innovative nritta-technique numbers researched and brought to the stage for the first time in the 1950's and 1960's by her own legendary mother, "Natya Veda Bharati", Smt.Sudha ChandraSekhar (formely: Sudha Doraiswamy). Some of these items from the highly spiritually charged snake dance to the ancient temple ritual kavuthwams (recovered in research and staged in the 1950's by her mother Sudha in collaboration with grandmaster T. Kuppiah Pillai), have now found residence in popular recital fare, while others, such as age-old javalis, padams, and sacred Vedic Hymns, have remained arcane and unexposed to stages worldwide. Diya's focus has thus been to identify eager artists to absorb and rescue all this material and carry it into the future. Most recently, Diya has kicked off an online class called the 100 Padam Challenge, in which a small group of participants learn one-hundred separate expressional songs, exploring choreography and history, as they collaborate with Vidya online. 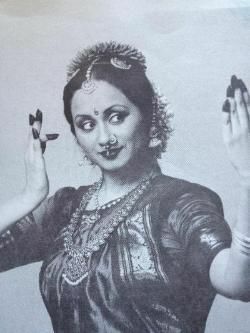 She also teaches special items from her expansive repertoire for Seattle's Bharata Natyam establishment, From Within Academy. Childhood exposure to Buddhist dance material through a series of dance-dramas Hindu Temple Rhythms performed in tandem with famed Buddhist Author and Composer, Dr. V. Subramaniam, opened Diya's mind and heart to the philosophies of the Eight-fold Path, and the Divine Revelations of the Buddha Avatar. Further physical and emotional challenges in life then brought the young dancer to enhanced awareness of purpose and helped her question faith, trust, hope and belief, until she found the answers from master teachings and texts resonated with ancient arts. Inspired, Diya has been on the Seeker's Path, herself, removing herself from stage presence, focusing on dance as service and awareness. She has since her teenage years, found fresh ways to enhance life for all beings with Bharata Natyam, with efforts such as teaching Bharata Natyam at the Detroit Day School for the Deaf, helping Ritalin-charged youngsters to find centering through meditation-infused Bharata Natyam exercise, and participating in standard and innovative fundraisers and educative programs. Diya also uses multiple musical paths to draw more people to the understanding of service as a way of achieving greater awareness in life. Try the other links on our site to learn how she seeks to travel the path of right action and right livelihood.